Controlled viral infections could trick the immune system into killing off cancerous tumors. Cancer is a multifaceted, horrible disease, but one thing the different types have in common is this: they somehow fool your otherwise excellent immune system to ignore tumors, flying under the radar of defense mechanisms. The idea of tricking the immune system to engage with cancers is not new, but a University of Geneva article in Nature Communications explains how researchers created and tested the immune response of cancerous mice infected by a so-called “designer virus”. Compared to mice who weren’t infected, the immune systems of the mice with artificial viruses were ten times more active than in a normal cancer case, helping to destroy the tumor. Here’s how they did it. 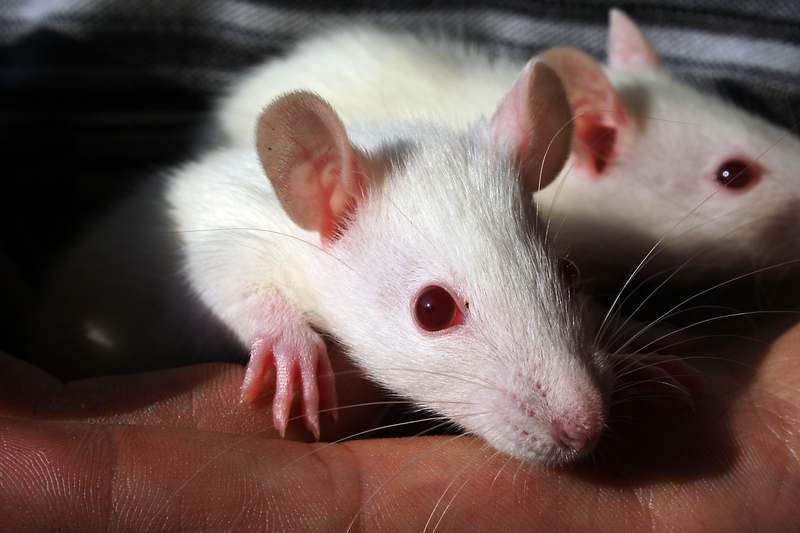 The researchers developed a virus modeled after lymphocytic choriomeningitis, a virus that normally can infect both mice and humans but carries very low risk for people. They injected the virus into mice with tumors to see whether they could activate the immune system to target the virus and also kill those cancers along the way. The goal was to trigger the activation of interleukin-33, an alarmin that tells the immune system to shift into high gear. It turns out, the presence of the virus alone isn’t enough. But in the group of mice where the virus caused inflammation, the immune system called in the cavalry and helped manage and fight the mice’s tumors better than normal. For all of the researchers’ optimism, it is important to remember that this is not a cure for cancer. While the designer virus could have a similar effect in people, the pathway from animal research to FDA-approved treatments is a bloody graveyard full of alleged miracle cures that didn’t actually do anything for humans. Even so, for cancer patients, every potential new plan of attack could be life changing. In this case, the science is too preliminary to say that boosting the immune system will finally end cancer, but it’s likely that these designer viruses will provide a boost of their own the field, and we may very well see new treatments down the road. Abstract: Viral infections lead to alarmin release and elicit potent cytotoxic effector T lymphocyte (CTLeff) responses. Conversely, the induction of protective tumour-specific CTLeff and their recruitment into the tumour remain challenging tasks. Here we show that lymphocytic choriomeningitis virus (LCMV) can be engineered to serve as a replication competent, stably-attenuated immunotherapy vector (artLCMV). artLCMV delivers tumour-associated antigens to dendritic cells for efficient CTL priming. Unlike replication-deficient vectors, artLCMV targets also lymphoid tissue stroma cells expressing the alarmin interleukin-33. By triggering interleukin-33 signals, artLCMV elicits CTLeff responses of higher magnitude and functionality than those induced by replication-deficient vectors. Superior anti-tumour efficacy of artLCMV immunotherapy depends on interleukin-33 signalling, and a massive CTLeff influx triggers an inflammatory conversion of the tumour microenvironment. Our observations suggest that replicating viral delivery systems can release alarmins for improved anti-tumour efficacy. These mechanistic insights may outweigh safety concerns around replicating viral vectors in cancer immunotherapy.